You want to get on the cheapest flight from Nairobi to Cape Town. There are no direct flights from NBO to CPT, so take flight duration into account as well as price. By booking via SouthAfrica.TO you qualify to earn travel vouchers. 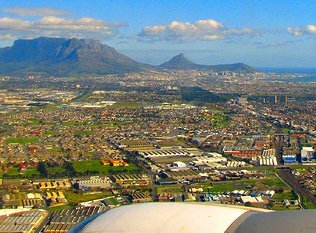 Simply Email a review of your flight to Cape Town to cheapflights@southafrica.to and we will email you flight discount vouchers (write more, better quality & send photos for bigger vouchers).